With the increasing number of assignments, against the concerns of Koharu and Homura, Danzo appoints Itachi to the rank of captain with Yugao assigned to take his place in the Anbu. Soon after, Itachi thanked Kakashi for his help for the last two years despite being warned not to involve himself in the higher-ups’ political affairs. Later, Kakashi meets with Hiruzen who reveals that someone is entering the village undetected by bypassing the carrier code and requests Kakashi to explore the barrier placements to uncover the intruder’s identity. Enlisting Guy’s help, Kakashi passes by the Uchiha district where he notices the change of atmosphere around the Uchiha clansmen. Elsewhere, Itachi reports to Danzo that the Uchiha intend on revolting and is given an unofficial order to slaughter his family for the good of the village. 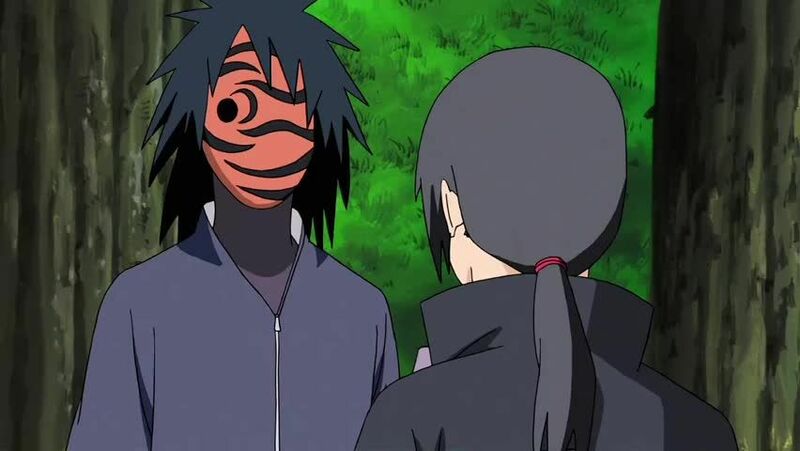 That night, Itachi encountered the mysterious masked man who has been sneaking into the village and claims himself to be Madara Uchiha. With the masked man’s help, Itachi annihilated their clan with only Sasuke surviving the slaughter. Soon after, as his former friends in the Anbu are tasked with clearing up the mess while he is portrayed as a cold-hearted murderer, Itachi warns Danzo not to make any attempt on Sasuke’s life or he will expose the truth of the Uchiha Clan Massacre to every enemy nation. Before leaving, Itachi gets a secret meeting with Hiruzen to convey his intention to continue protecting Konoha from the shadows while hoping his brother would someday restore the Uchiha Clan’s honor. Hiruzen decides not to change the barrier code, allowing Itachi to come and go to village as he pleases should he become worried for Sasuke’s wellbeing. Later, Kakashi is told that his time as an Anbu operative is over and that he will become a mentor. 4.8 / 5 - 38 ratings.